STUDY: Reality Trumping Establishment Vaccine “Facts” | "Global Possibilities"
Slide One calling risky vaccines a myth is patently false. Every vaccine insert has a laundry list of risks and long-term severe adverse reactions, including the risk of death. Rarely conveyed by vaccine propaganda is the fact that Americans injured by any vaccine on the childhood schedule cannot sue manufacturers for damages. Instead, they may apply for compensation from the government. The government set up the Vaccine Injury Compensation Program (VICP) in 1986, which has begrudgingly paid out nearly $4 billion in damages and deaths as a result of vaccination. The book The Vaccine Court: The Dark Truth of America’s Vaccine Injury Compensation Program exposes the reality of the VICP as having little oversight, being highly adversarial towards petitioners, having adjudication times easily topping 5-10 years, and limiting the conditions allowed to be compensated for. In addition, doctors and nurses are not properly trained to recognize vaccine injury, which accounts for gross underreporting of vaccine reactions to Vaccine Adverse Event Reporting System (VAERS). Slide Three states as “fact” that “there is no evidence of a link between the MMR vaccine and autism,” except for one “seriously flawed” 1998 study. Wrong again. The CDC’s own senior research scientist Dr. William Thompson came forward and publicly admitted research fraud on the agency’s primary study done to prove there was no MMR-autism link. Another study listed on the CDC’s website as proof of no connection between vaccines and autism was conducted by a known felon who is still at large and listed on the US Government’s Most Wanted list. On the other hand, there are at least 139 research papers that support the vaccine-autism link. Overall, the PLOS One study could be interpreted as showing that the public is simply no longer buying into the lies spun by the vaccine industry. The interesting point is that accurate, inconvenient facts about the failures, dangers, and corruption surrounding vaccination can be easily found. Vaccine inserts, peer-reviewed studies, legal rulings, whistleblower admissions, and personal experiences are all readily available, serving to refute the simplistic, often insulting, vaccine talking points forced upon the awakening public. Science, by its very nature, is never settled. And history shows that the medical community, with its long track record of industry collusion, often gets it wrong in spectacular fashion. The same medical establishment forcing vaccines is also the one that told us formula was superior over breast milk and cigarettes were healthy. It is the same medical establishment whose officials sat by silently, or sometimes publicly endorsed, dietary fads such as aspartame, margarine, and high fructose corn syrup. 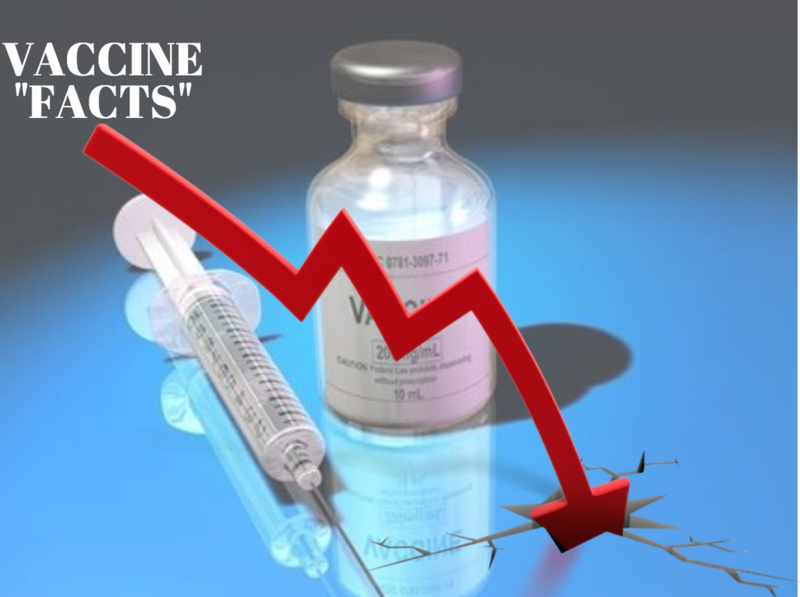 Although the PLOS One study’s title “misinformation lingers” implies that the public is not retaining “facts,” what it really shows is that the current flawed vaccine narrative is being increasingly seen for what it is. The study did get one thing absolutely correct: the more the medical community and the CDC push their vaccine propaganda, the faster and larger the mass awakening becomes to the truth about vaccines.